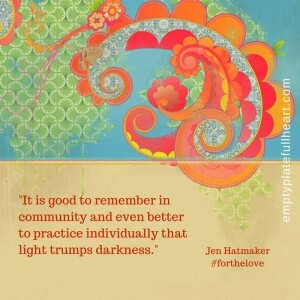 I’m passionate about community. My mercy heart screams out when I feel as if someone has had to to walk a dark path on their own or even celebrate a special day by themselves making the victory feel a bit hollow. 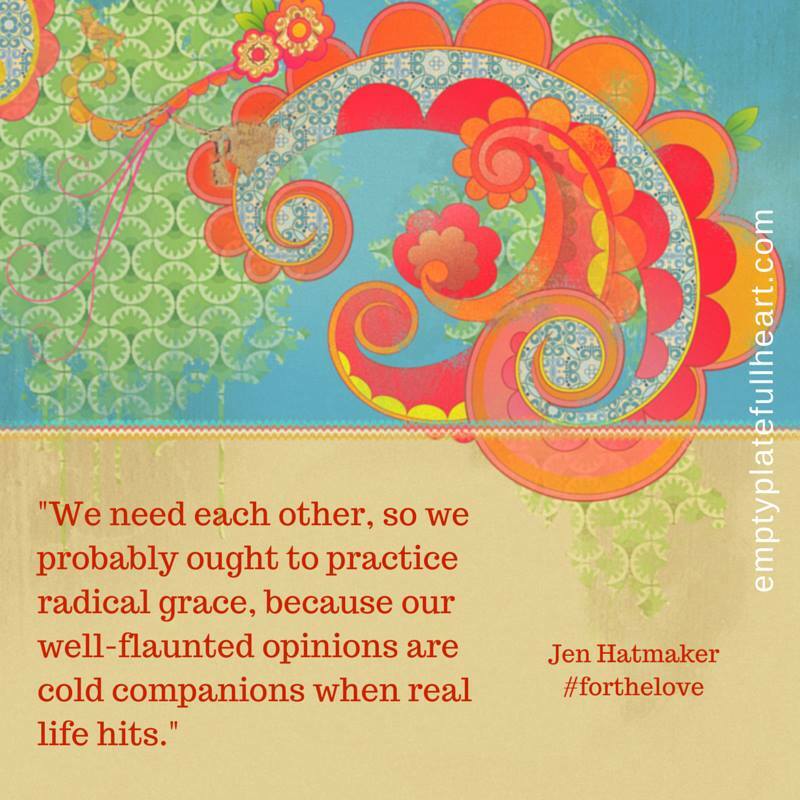 When I posted about Jen Hatmaker’s new book “For the Love: Fighting for Grace in a World of Impossible Standards” I wrote about the gift of community that has been the best part of being on the launch team. Today I get to tell you more about the book itself because today is launch day! For the Love is a witty, deep and beautiful piece written from the trenches of life. 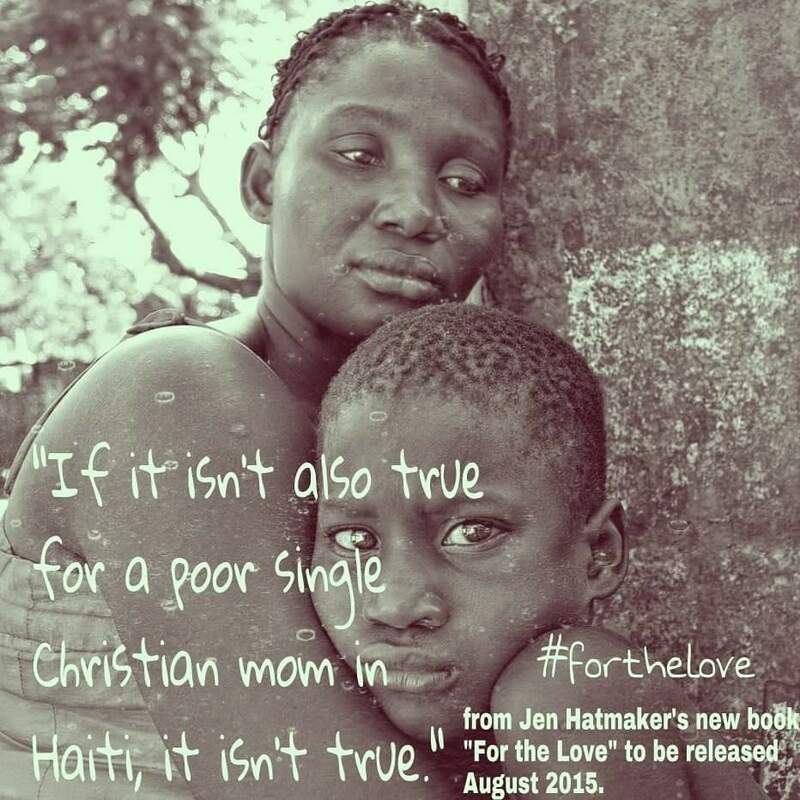 Jen Hatmaker lives the life she writes about with a simple approach to grace and love. 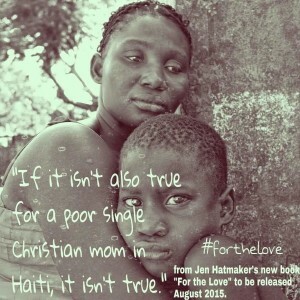 Jen shares her heart on women in Haiti as well as those in arms reach we can gather around our own tables. As I took in the thoughts of her heart I remembered the days where simple comments from other women put pressure on my soul for me to become a person I was never created to be. 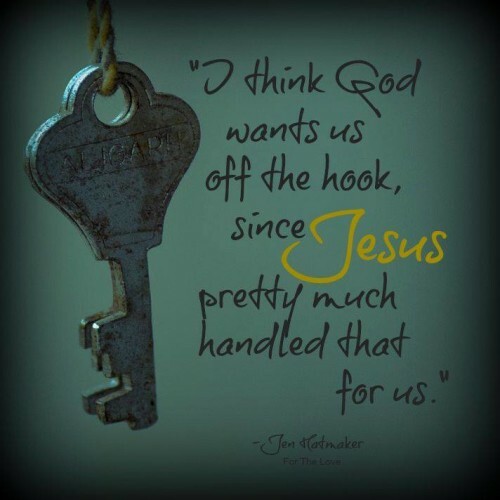 For the Love leads me to the freedom in Christ to fully rely on Him to lead the way. No longer will I ascribe to the manufactured, Pinterest perfect ideal taken from a polished speaker as some fancy event. 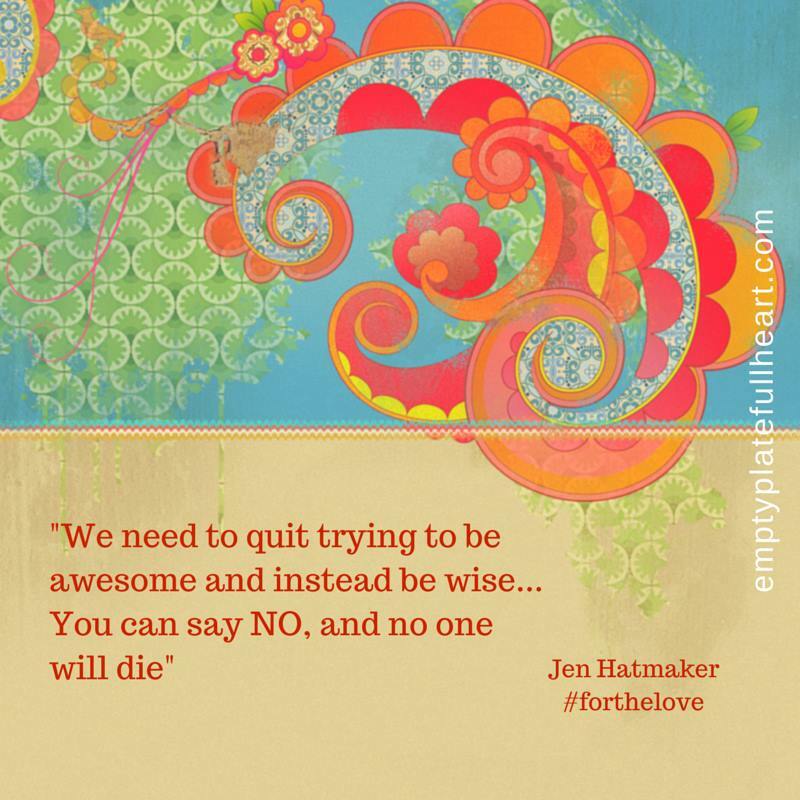 If you’ve ever read anything by Jen you’ll know to expect humor and plenty of it. Her views of life are often wrapped up in the hilarious stories that are laugh out loud funny. This book was all quotable so I finally stopped highlighting because I realized that reading it all over again would be a gift to myself. My next time through will be a book club style with some women who have become a safe place for me to gather. If you have ever struggles with being a woman, mother, friend, Christian, wife or just with personhood, you’ll find a beautiful path in the pages here. or enter to win here! A special shout out to my launch team besties for creating the great graphics from the book so we could all share them with you! 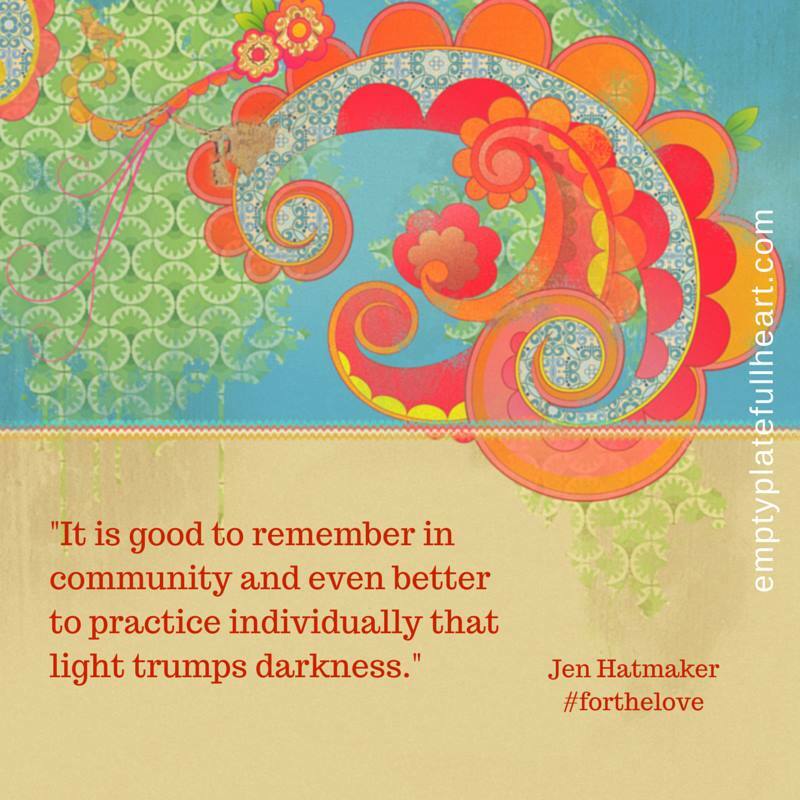 You have all been an example of organic grace that is the fresh water needed to grow a community of love.